Do you need LGBT Alcoholism Rehab? Many people would not include alcohol in a list of drugs, due it being legal, readily accessible and relatively socially acceptable. However, alcohol is one of the most widely used and abused substances in the world. Alcoholism can be a life-threatening disease and it can be incredibly difficult to overcome alone. Our LGBT alcoholism rehab can help you. Keep reading. For most people, having a casual drink is a social activity and drinking poses no particular significance for them. They can either take it or leave it. For those who develop an alcohol addiction, drinking becomes a constant preoccupation in their lives. Alcoholics may find it hard or impossible to socialize without alcohol. Eventually, alcoholism often leads people into distant isolation, and drinking becomes essentially all they have. As is the case with most other drugs, a heavy drinker will develop a tolerance and they will require more and more alcohol to get drunk. 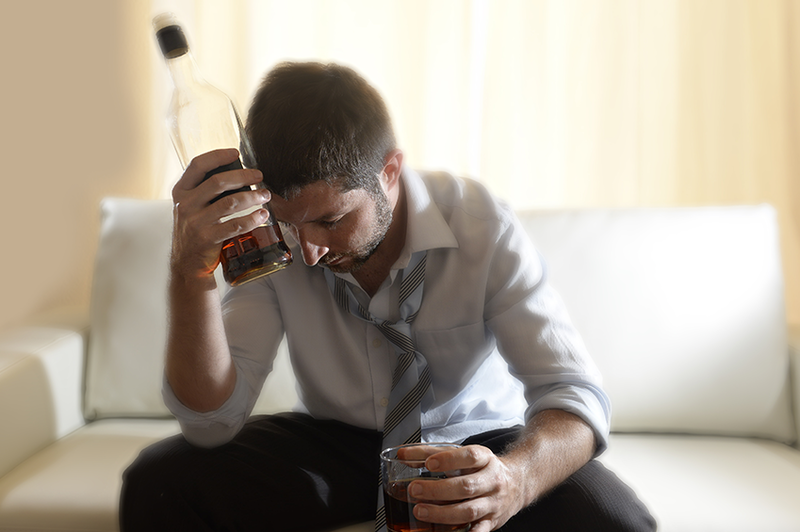 When alcoholism becomes severe, a physical dependence arises. Once such a dependence develops, an alcoholic will need to drink to stave off sickening withdrawal symptoms and tremors. They will require alcohol to feel ordinary. Alcohol withdrawal can be life-threatening. Seizures and other complications can occur. A person who has become physically dependent on alcohol will need to go through detox with the aid of professional help. The behavior of an alcoholic can be erratic. It is never certain what kind of emotional state will manifest. Some become depressed and suicidal. Others become angry and abusive. The impairment in judgment that inevitably comes with alcohol intoxication can lead to many different kinds of consequences from legal trouble, to financial instability and difficulty maintaining employment, to deterioration of relationships and social isolation. There are people with alcoholism who consider themselves “functioning alcoholics,” because their excessive drinking has had little effect upon their employment or their ability to navigate through their lives. Even if this is the case, heavy drinking eventually leads to significant health consequences including cirrhosis of the liver and in some cases permanent brain damage. There can also be consequences to one’s mental health and emotional well-being, even if their lives appear manageable from the outside. Alcoholism, like any addiction, is not only detrimental to the user, but it takes its toll on the people who are involved with the alcoholic on a personal level. Family members, close friends and loved ones can suffer greatly witnessing the self-destructive behavior of an alcoholic. If you think you may have a drinking problem and you’re ready to get help, you can start the process today with Inspire Recovery. Your loved ones may be relieved and grateful you’re choosing to take this step. If someone you know has a drinking problem, maybe it’s time to discuss treatment options for recovery and a better life. At Inspire Recovery, our clinical team will work closely with clients to create a treatment plan to fit individual needs, understanding that no two alcoholics or addicts are exactly the same. Please call Inspire Recovery today to find out how we can help.